The den reduction continues. 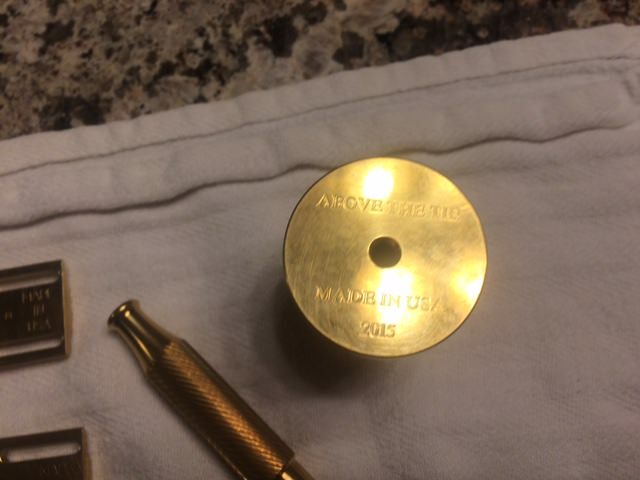 Each price includes shipping in CONUS. If any additional pictures are needed, please let me know. 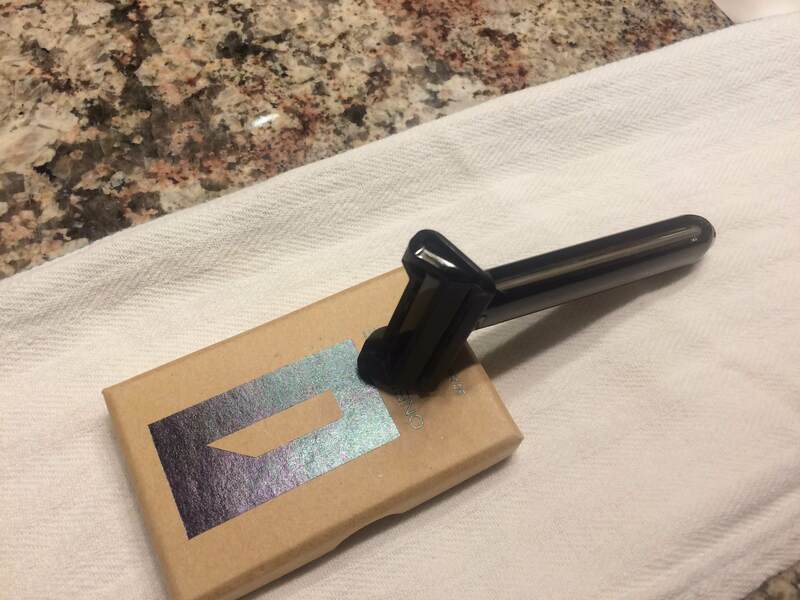 1) SOLD - Oneblade Core - $40. It will come with 30 blades. New the razor is $49.95 and it comes with 10 blades. 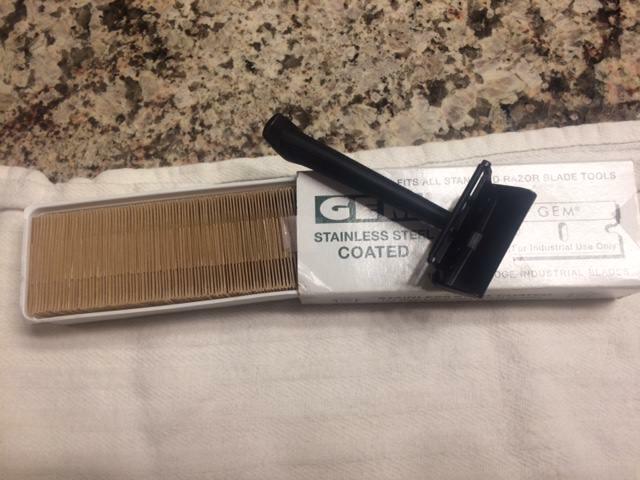 Additional blades run $24.95 for 30 or $19 for 30, if you join the delivery program. 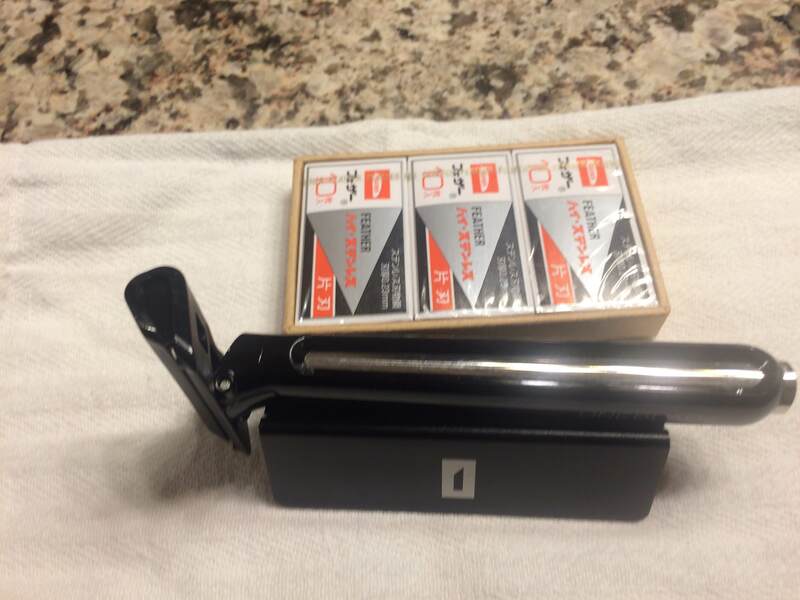 2) SOLD - SE Package: $170 -- Includes Blackland Sabre Polished with Lv1 head (retail - $185), Delta Echo GEM G-Bar (Retail for Delta Echo Work is $65) & approximately 95 GEM/Pella PTFE blades (Retail $25). 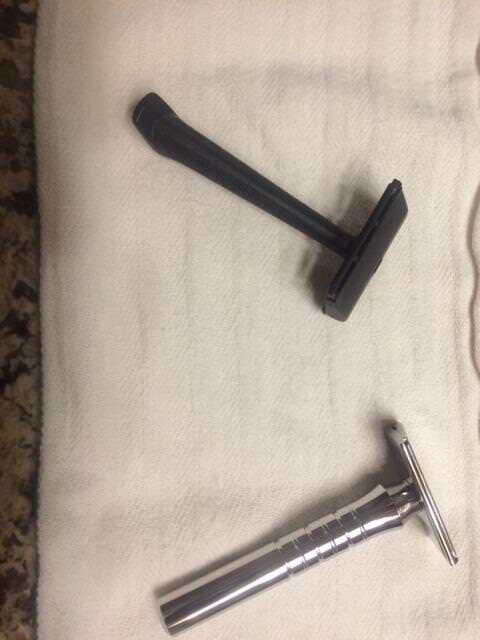 I have used the Sabre for about 7 shaves and the G-Bar for about 5. Both are in excellent condition. There may be more than 95 GEM blades but I don't think there are less. 2) SOLD - ATT Bronze Set (#044) - $275. Currently sold out but $450 (I believe) when available. SOLD - Barbaros TR-1 - $120. These are no longer available and the TR-2, when available, lists for $200. SOLD - Timeless Bronze with Stand - $120. I have used it for 4 or 5 shave. Retail is $160 for the razor and stand. I bought it and a Timeless Titanium and I just prefer the Titanium. SOLD - Delta Echo Red Tip - $70. Currently sold out but when available it is $89.95. 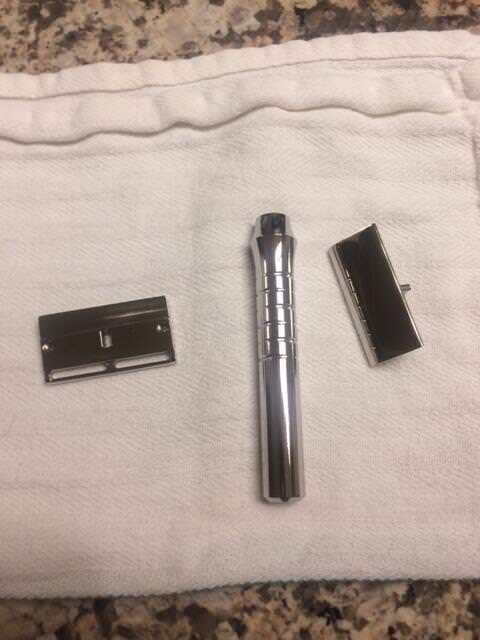 Razor is in excellent condition and only used for about 10 shaves. 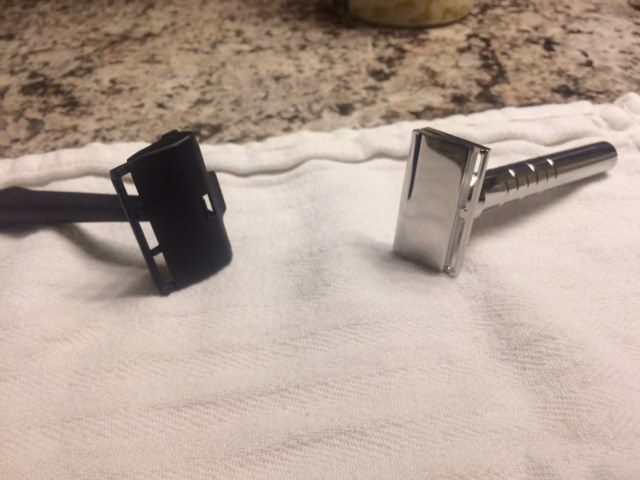 I just prefer modern DE razors. 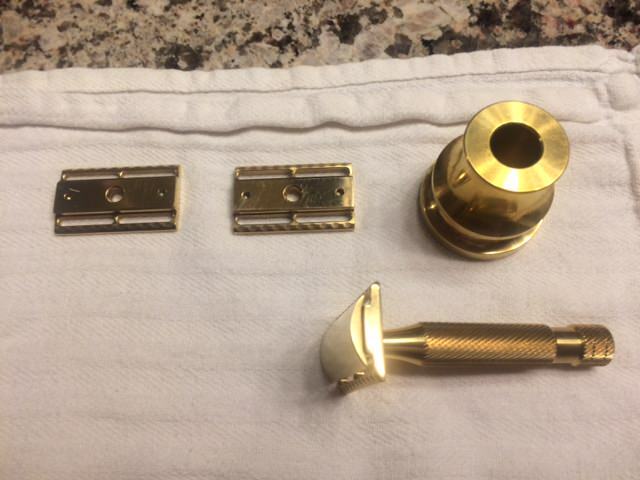 SOLD- Colonial razor - General (brass) - $70. I believe these were about $99 new, but were eventually sold for $75. They are currently not available. Ah Barbaros and that Red Tip are lovely and if I had the cash I'd be on the pair!!! Don't suppose you'd be interested in a trade on a nice M&F!? 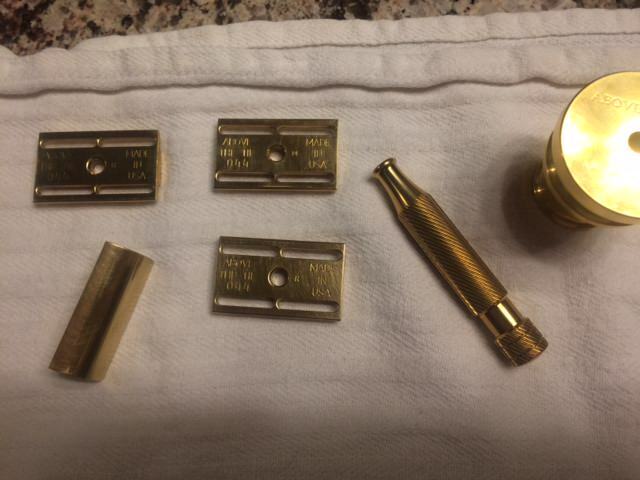 I believe the Colonial General is a brass razor, not a bronze one. 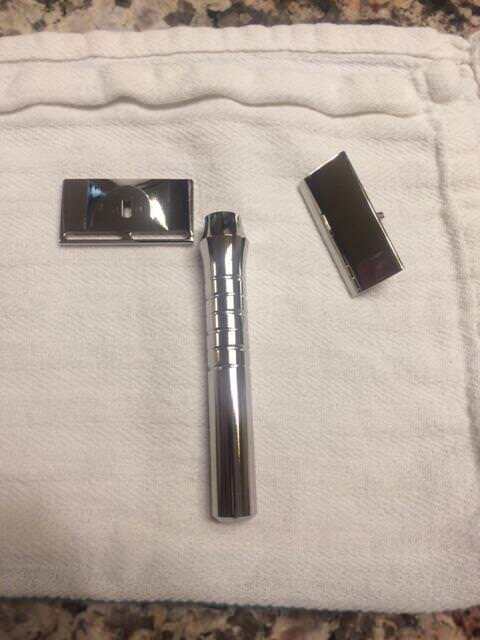 Nice razors and good prices. GLWTS. (11-06-2017, 05:41 AM)kingfisher Wrote: I believe the Colonial General is a brass razor, not a bronze one. You are correct. I'll adjust the description. Thanks.